The blood thinner Xarelto (i.e. rivaroxaban) was prescribed to numerous patients in an effort to reduce the risk of developing blood clots that may cause strokes. The prescription drug became extremely popular (and profitable for the manufacturer, Bayer) because it did not require patients to go on a special diet or have blood tests to determine the dose, unlike other blood thinner medications. Unforutnately, it turns out that Xarelto carries a host of severe side effects, including potentially fatal internal bleeding. 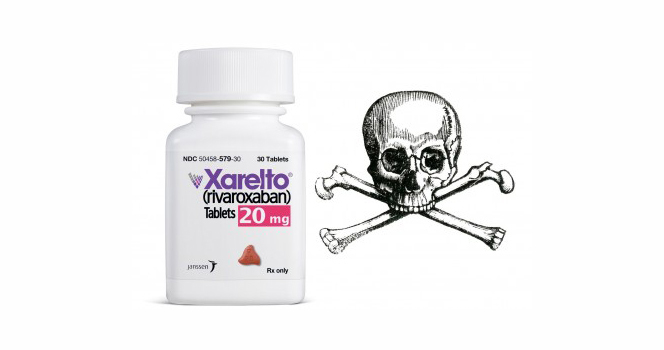 As mentioned above, the most serious Xarelto side effect is severe, potentially life-threatening internal bleeding. Currently, there is no known antidote to stop the horrific internal bleeding caused by Xarelto. People who suffered internal bleeding have the right to pursue legal action against Bayer for manufacting a dangerous, potentially life-threatening drug. Numerous lawsuits have already been filed against Bayer claiming the company did not warn of the risk. Keep in mind, you do not have an infinite amount of time to take legal action. Every state has a "statute of limitations" on when an injury claim must be filed in a court of law. If a claim is not filed against the manufacturer, retailers and healthcare providers before the statute of limitation expires, the injured persons are forever prevented from bringing a claim against the entities and persons who may be liable for their injuries. If you or a loved one suffered Xarelto side effects, the statute of limitations for your potential claim may have already expired, or may expire in the near future. There is no way for our team of Xarelto injury lawyers to tell without reviewing the facts of your potential claim. That is why you need to contact us as soon as possible either by phone or by filling out a quick contact form on this page. Xarelto has the most severe label warning issued by the FDA for dangerous spinal bleeds called epidural or spinal hematomas. Hematomas are pools of blood that occur outside of blood vessels. Blood pooling in the spine can cause permanent paralysis. Considering Xarelto-induced internal bleeding is potentially deadly, you may be wondering whether a recall has been issued. At this point, there has not been a Xarelto recall for its internal bleeding side effects. However, the investigation into this drug is ongoing and a recall may occur some time down the road. It often takes years before all the facts come out that will lead to a voluntary or involuntary recall. Other blood thinners are known to cause internal bleeding, but a doctor can use vitamin K to halt the bleeding. Xarelto is a different breed. It is so powerful that when you start to bleed internally, even vitamin K can't stop the damage. Elderly adults have a more difficult time flushing Xarelto out of their system (which can take more than 24 hours), and the anticoagulation effect lasts longer in their bodies. This puts older adults at increased risk for life-threatening bleeds, especially if they fall or hit their heads. If you or a loved one took Xarelto and suffered from internal bleeding, contact an experience prescription drug injury attorney at Shapiro & Appleton& Duffan. Our firm has handled numerous dangerous drug lawsuits and offer free, confidential consultations.